Last week, a couple of bolts come lose when a certain new Pokémon showed up out of the blue and started appearing all over the world thanks to Pokémon GO. Whenever caught, this bizarre creations, which looks like a grey Ditto with a nut on its head, would become another Pokémon and there was certainly a lot of confusion caused because of this ‘mon. It’s time for that confusion to end however as the “hoax” is in fact an entirely new Pokémon and its name just so happens to Meltan. Meltan classified as being the Hex Nut Pokémon. Its typing is steel and it is a Mythical Pokémon no less that will be available in Pokémon: Let’s Go, Pikachu! and Pokémon: Let’s Go, Eevee! 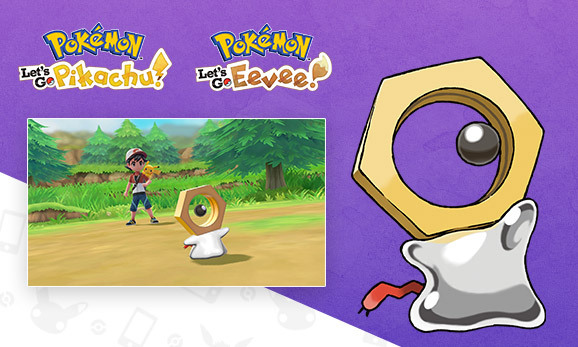 Now that Meltan is an officially Pokémon, what do you think of the little guy and is design? Let us know!